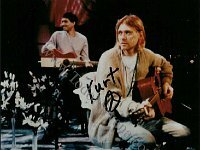 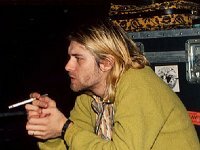 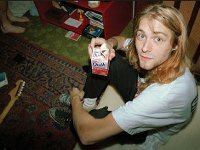 Photo gallery of Kurt Cobain and the band Nirvana. 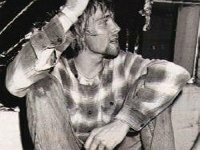 1 Kurt Cobain and Nirvana Assorted black and white photos of Kurt Cobain. 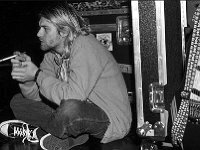 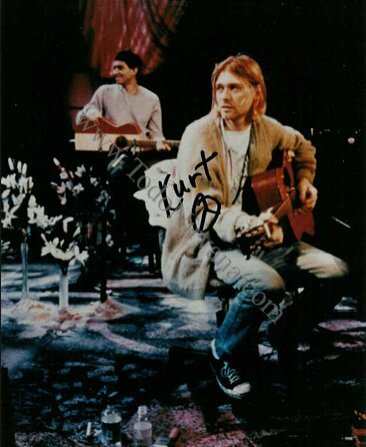 2 Kurt Cobain and Nirvana Kurt seated and wearing black chucks. 3 Kurt Cobain and Nirvana Kurt drinking a carton of chocolate milk. 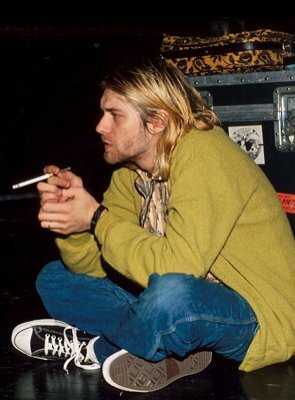 4 Kurt Cobain and Nirvana Color shot of Kurt Cobain wearing black chucks. 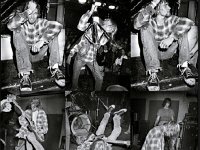 5 Kurt Cobain and Nirvana Kurt Cobain in performance. 6 Kurt Cobain and Nirvana Posed shot of Nirvana. 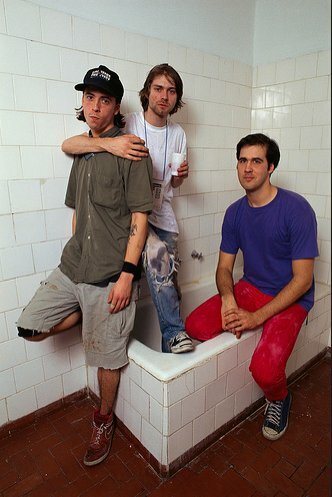 7 Kurt Cobain and Nirvana Nirvana in a bathroom. 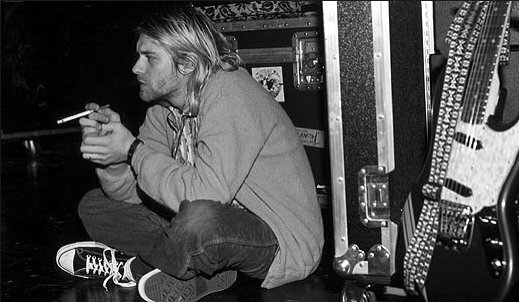 8 Kurt Cobain and Nirvana Mr. Cobain sitting down. 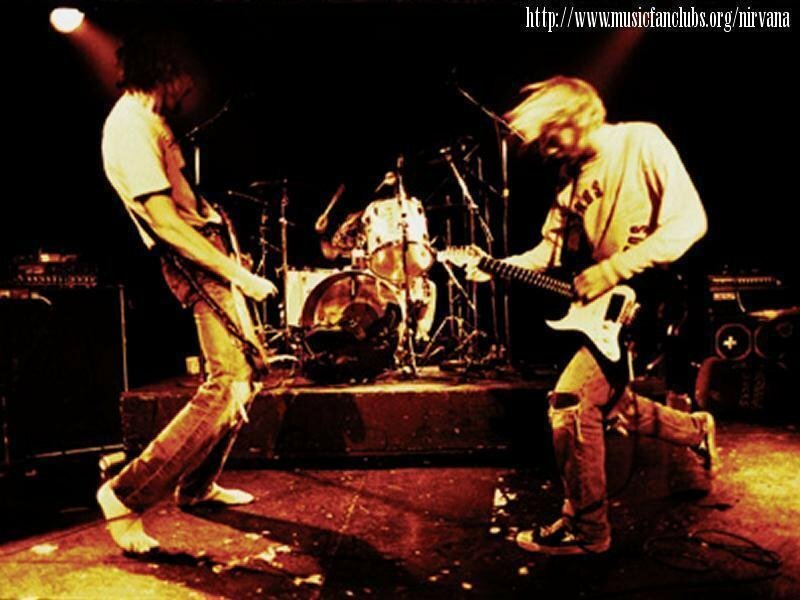 9 Kurt Cobain and Nirvana Kurt Cobain and Nirvana rocking out. 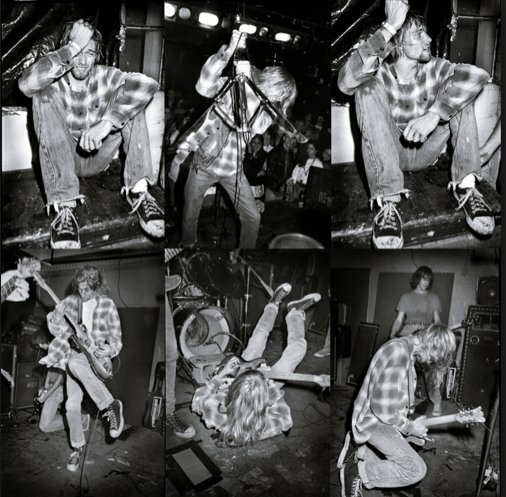 11 Kurt Cobain and Nirvana A posed shot of the band with a bad premonition: Kurt Cobain attempting to kill himself. 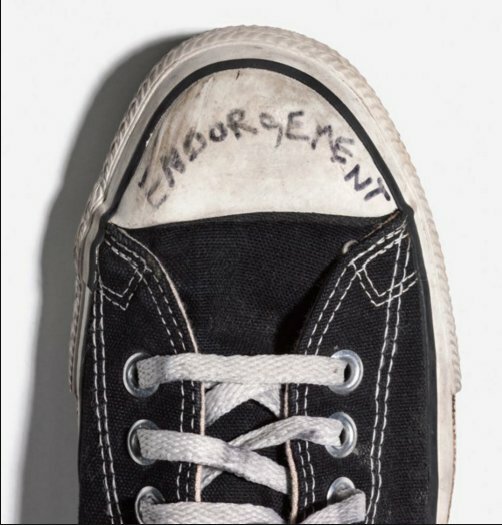 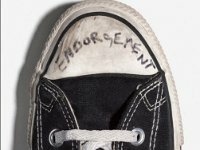 12 Kurt Cobain and Nirvana Closeup of one of Kurt Cobain's black chucks. 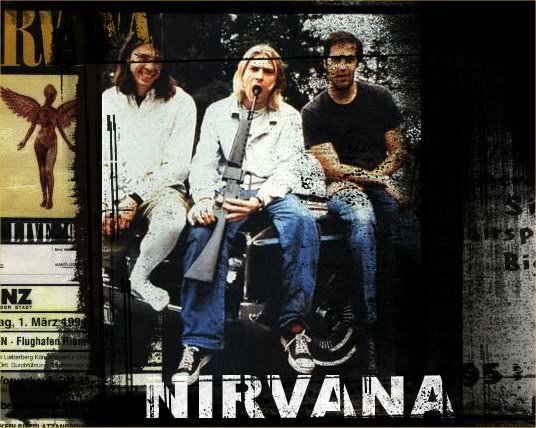 Nirvana was an American rock band formed by singer/guitarist Kurt Cobain and bassist Krist Novoselic in 1987. 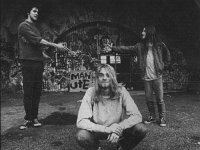 Nirvana went through a succession of drummers, the longest-lasting being Dave Grohl, who joined the band in 1990. 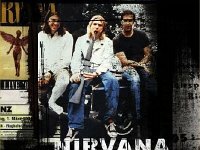 Despite releasing only three full-length studio albums in their seven-year career, Nirvana has come to be regarded as one of the most influential and important rock bands of the modern era. 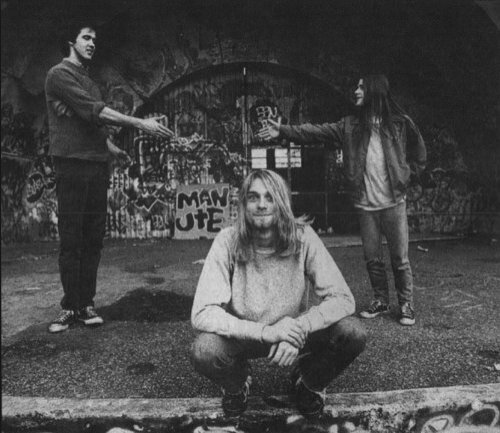 Nirvana established itself as part of the Seattle grunge scene. 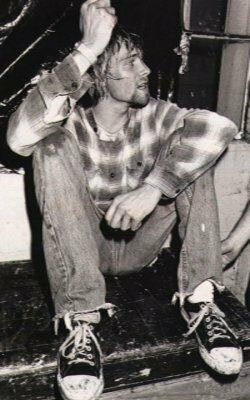 Their dress often included wearing black chucks. 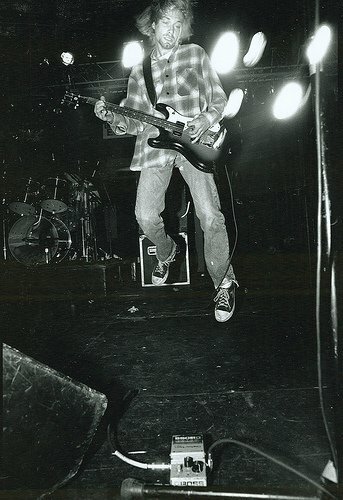 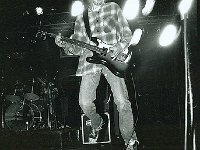 Kurt Cobain also wore black Jack Purcells.